Autosearch. 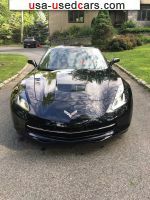 cars for sale in New York on used cars USA. Search results. Found 1072 advertisements. Gasoline , Manual , drive: rear-wheel , coupe , 2 doors , Yellow , 81000 th. miles , condition: Excellent , If you have any questions feel free to email: waltraudwaamadi@topaddress. com . Gasoline , Manual , drive: rear-wheel , coupe , 2 doors , Blue , 141 th. miles , condition: Used , Just email me at: sanjuanitasppearlman@ukpc. net .